In the uMkhuze section of iSimangaliso Wetland Park, part of the Lubombo Transfrontier Conservation Area, elephants are flourishing. Following the reintroduction of the species into the game reserve during the 1990s, the numbers rapidly grew to a healthy 139 strong elephant population today. 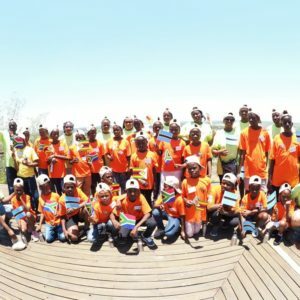 In a world where more than 30 000 elephants are lost to poaching each year, this is a true management success story for conservation partner Ezemvelo KwaZulu-Natal Wildlife, but one that, unfortunately, now has also started to present its own challenges. This is because uMkhuze, one of South Africa’s oldest game parks (est. 1912), only offers a range of 43 000 ha with a finite carrying capacity for these gentle giants. Only 150 kilometers to the west of uMkhuze, Ezemvelo’s Ithala Game Reserve struggles with the same challenge of effectively maintaining their blossoming elephant population within the reserve’s approximately 30 000 ha protected area. “There are various ways in which an overpopulation of elephants can be managed. This includes culling, contraceptives, as well as translocations. In both uMkhuze and Ithala, contraceptive plans have already been put into action. 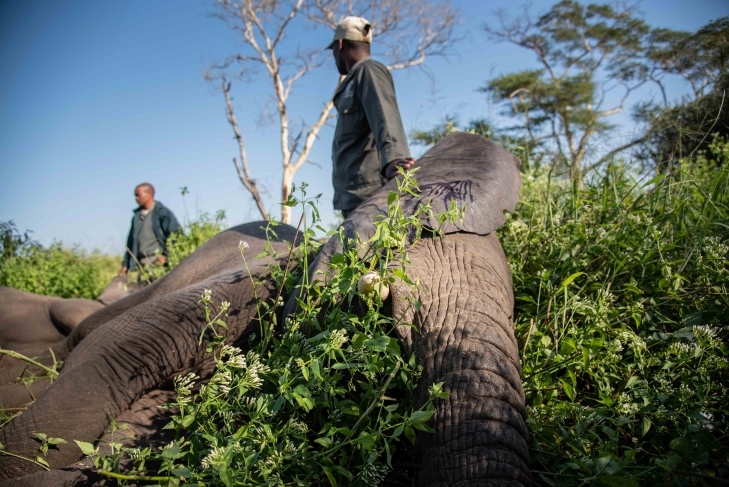 This will, however, take time to significantly contain numbers – time that the reserve does not have as the tightly contained herds of elephants start to disrupt ecosystems and diminish resources,” explained Dave Cooper, Wildlife Veterinarian for Ezemvelo. It really ‘takes a village’ to safely and respectfully capture and transport these gentle giants. Team members are assigned to make sure the elephants’ trunks remain unobstructed, that their eyes are covered, and that their overall health seems uncompromised whilst under sedation. Accordingly, last week, expert teams from Elephants, Rhinos & People (ERP – erp.ngo), Conservation Solutions, and Ezemvelo, supported by the Department of Environmental Affairs, came together to capture 29 of the uMkhuze and 24 of the Ithala elephants and transport them safely through a 1 250 km journey with greater purpose. By removing a significant percentage of the elephant population from the reserves, it potentially negates any need for further extreme elephant management interventions for at least the next 10 to 15 years. 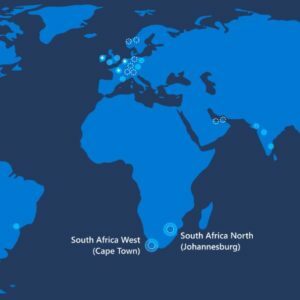 The elephants crossed two borders and traversed three countries (South Africa, Swaziland and Mozambique). 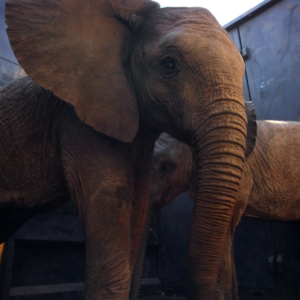 Less than two days later, they were released into the care of Peace Parks Foundation and Mozambique’s National Administration for Conservation Areas who co-manage the elephant’s new home – Zinave National Park. The elephants travelled more than 1 250 km, crossing two borders and traversing three countries. 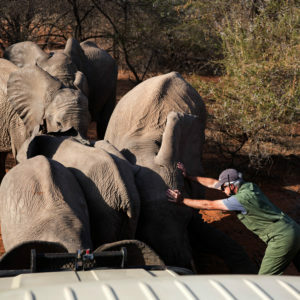 ERP, supported by groupelephant.com, funded and coordinated the translocation operation as part of their drive to translocate large elephant numbers outside of South African borders, to alleviate the country’s increasing elephant population pressures. Helicopter time and fuel was sponsored by Wild Tomorrow Fund. 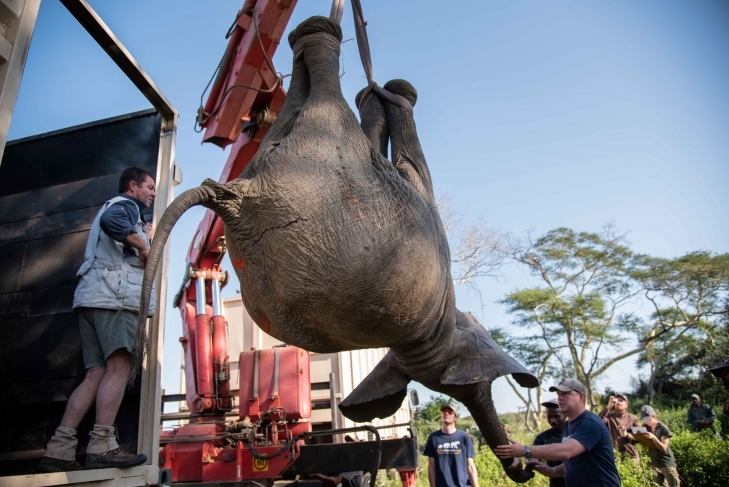 With their legs bound by strong, soft tethers, the elephants are very carefully and gently lifted by sturdy crane into the transport containers. Extensive physiological monitoring has shown that elephants are not at all compromised by being upside down for a few minutes. Zinave, situated within the Great Limpopo Transfrontier Conservation Area, offers a protected space of 408 000 ha with prime elephant habitat, more than sufficient water resources, and only a handful of local elephants – positioning the uMkhuze and Ithala elephants to proliferate as the progenitors of a thriving new elephant population. The new elephants will bring the total elephant population in the Park to about 67, a number that is expected to double over the next 10 years. The beautiful Zinave Pan is within the sanctuary that the elephants will now call home. The elephants will initially be released into an electrically-fenced 18 600 ha sanctuary. This will allow them to settle into their new environment and be introduced to the family herd that has been resident in the sanctuary for the past year. Safeguarding the wildlife within Zinave is of course paramount to Park management. 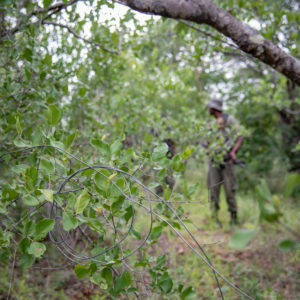 Through significant funding from Peace Parks Foundation, the Park’s protection capabilities were recently reinforced with 26 newly trained and appointed rangers, ranger base camps, patrol equipment and digital communication systems – all as part of advanced and integrated anti-poaching strategies. 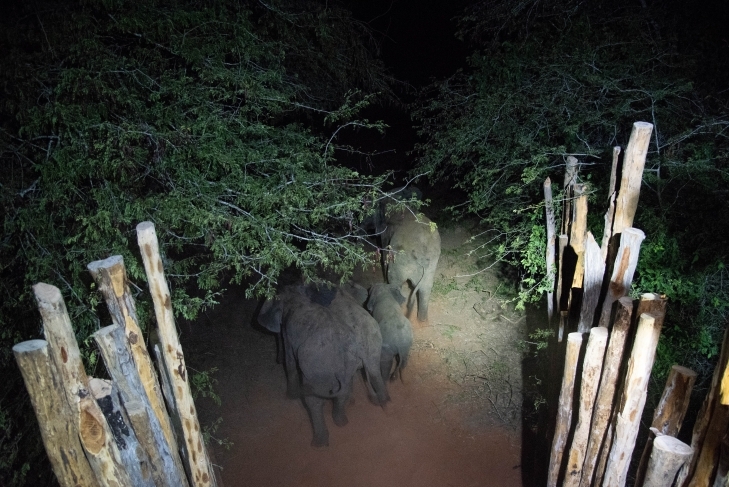 The ‘destructive’ behavior that resulted in the elephants’ move from uMkhuze and Ithala, is exactly what will now benefit the ecosystem balance in Zinave. With almost no wildlife present in the Park for decades, the vegetation has become extremely overgrown and dense. Peace Parks Foundation has been rewilding the conservation area for the past few years and the close to 1 250 animals, mostly grazers, brought in have already started to change the flora landscape for the better. However, the elephants will now take this to a whole new level. The elephants arrived safely in Zinave National Park. 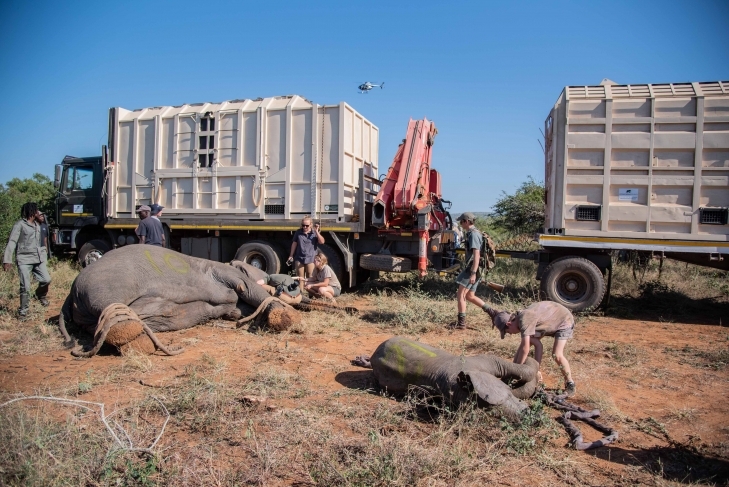 ‘’We are very excited about the positive impact these cross-border elephant translocations will have on reducing elephant population pressures in South Africa, whilst establishing new populations in areas such as Zinave National Park. 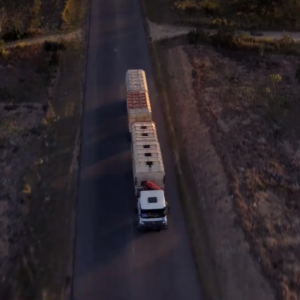 This is also the first of what will hopefully be many more meaningful projects conducted by ERP in Mozambique in collaboration with Peace Parks Foundation‘’, said Dereck Milburn, Director Operations for ERP. 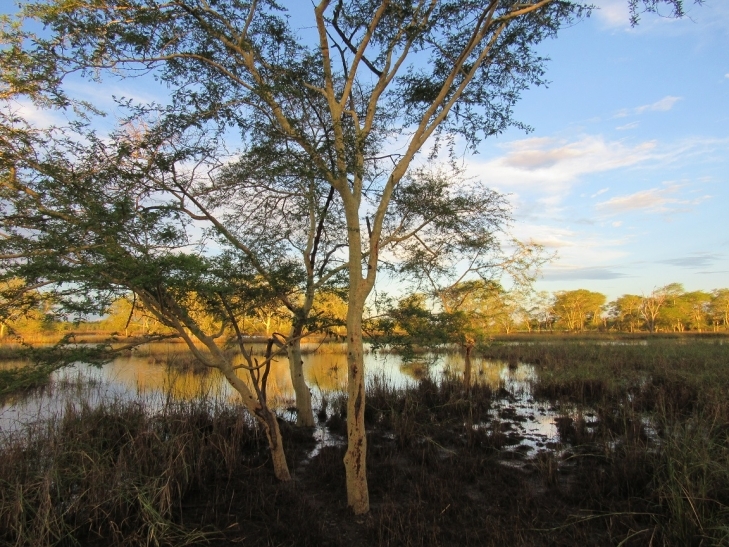 Rewilding Mozambique’s protected areas is a primary focus in Peace Parks Foundation’s strategy for the development of transfrontier conservation areas in the region, with repopulated parks hopefully leading the way in revitalising the country’s eco-tourism economies. 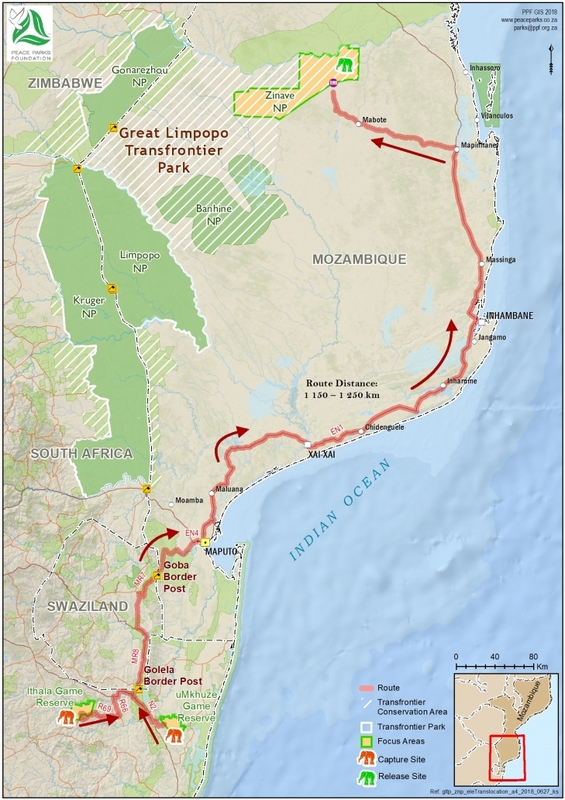 In September 2015, Peace Parks Foundation signed an agreement with the Government of Mozambique through the National Administration for Conservation Areas for the co-management and development of Zinave National Park as part of the Great Limpopo Transfrontier Conservation Area. 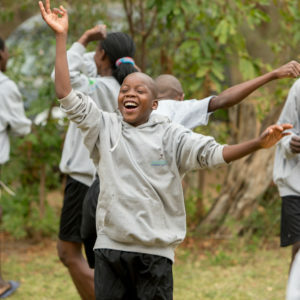 Peace Parks Foundation’s work in Zinave, which commenced in January 2016, is funded by a philanthropic donor, who has made a financial commitment over a 10-year period (2016 – 2025) to invest in restocking the park, supporting conservation efforts, facilitating tourism development and investing in community development. In 2018, ERP recently entered into a Memorandum of Understanding with Peace Parks Foundation to take on the role of the Foundation’s strategic elephant management partner in Mozambique.